The late afternoon light blankets a spring runoff in the Swiss alps. 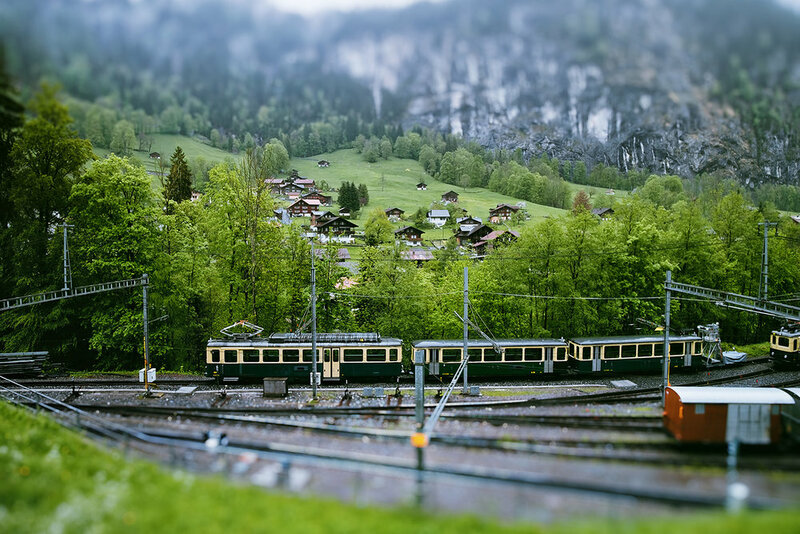 A train departs the station in the high Swiss Alp town of Lauterbrunnen. Taking the final descent towards the beach and the Baltic Sea at Møns Klint, Denmark. The colors come to life after a Summer rain in the Grand Staircase/Escalante National Monument, Utah. Gazing across the vast expanse towards Courthouse Towers in Arches National Park. An early morning fog blankets the Swiss Valley of Lauterbrunnen. A view towards the beach and the Baltic Sea at Møns Klint, Denmark.